Nero Burning ROM 2014 is the de facto standard for high quality disc burning software. With a huge experience in optimizing CD, DVD and Blu-ray Disc burning you can rest assured that any disc recorder drive you own will be supported by Nero and you get the highest quality disc burning every time. Nero Burning ROM is renowned for its advanced security and reliability features. 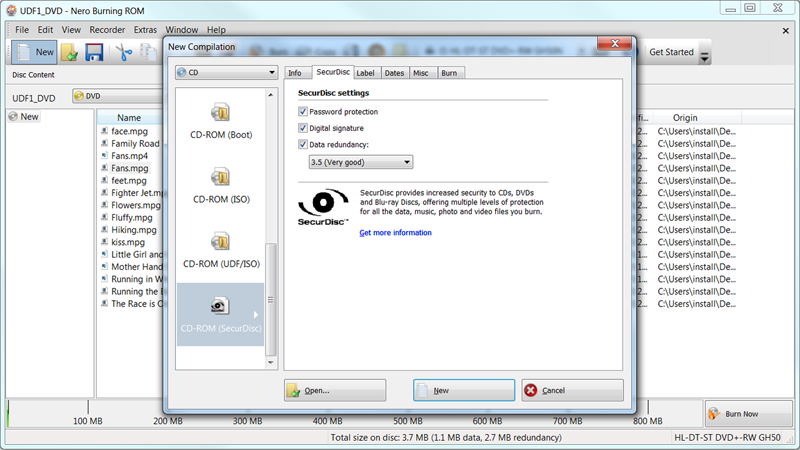 Moreover, it is still one of the easiest tools to use to make your own audio compilations that can be played on any standard CD player. Nero Burning ROM 2014 supports recording on up to 32 different recorders simultaneously. Chose Nero and you can feel confident that there is no better CD, DVD, and Blu-ray Disc burning software available.